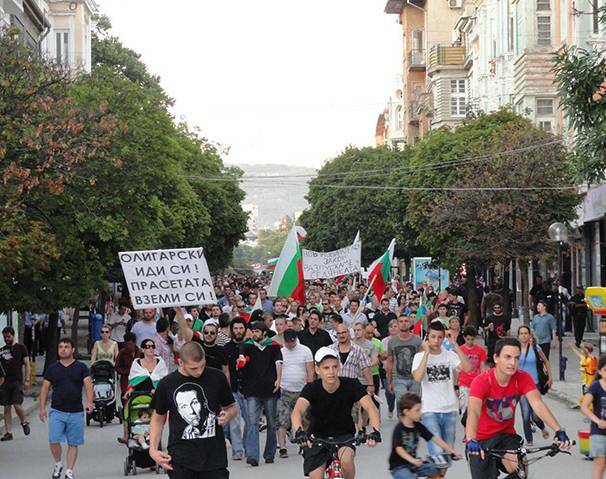 Bulgarian protests continue, is the world watching? For more than two and a half weeks now Bulgarians have been taking to the streets, demanding their newly appointed socialist government step down. The protests were originally sparked by the controversial appointment of businessman and MP Delyan Peevski as the new head of the State Agency for National Security. 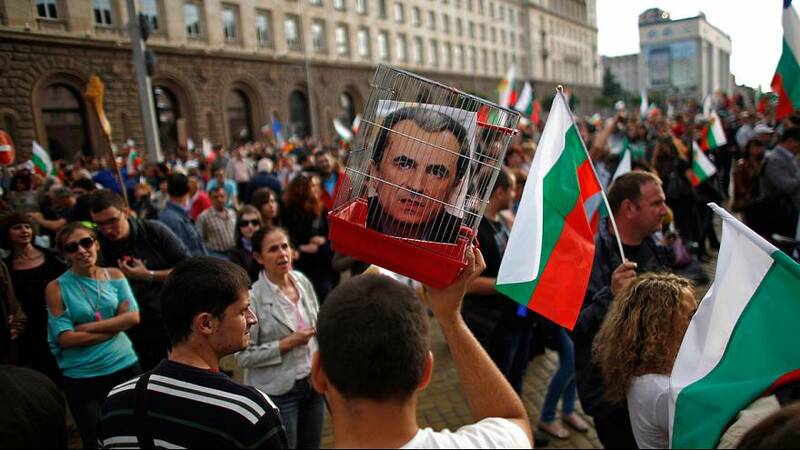 Public anger eventually led to his removal but the demonstrations have continued, with the people demanding reforms that will bring greater transparency to Bulgarian public life, which they claim is fraught with corruption. Bulgarians argue it is these dubious links between parliament and businessmen that deter foreign investment, and thus deprive the country of higher living standards. 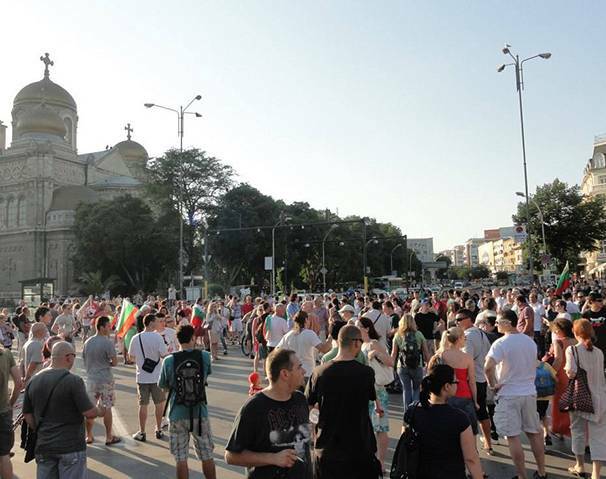 The people of Bulgaria have been taking to the streets daily, in numbers that they believe have been grossly under-reported by their government and the world’s media. The government, which has been in power for just over three weeks, only holds half of the seats in parliament and relies on the support of a nationalist party to stay in office. These photos and videos, taken over the last few days, suggest that the movement shows no signs easing. Frustration is growing among many people in Bulgaria. They are angry at their government and they are angry at the world’s media, who they believe are ignoring the message of the people. Some are saying that the media are not as interested in their peaceful protests, in comparison to those going on in Egypt and Turkey. 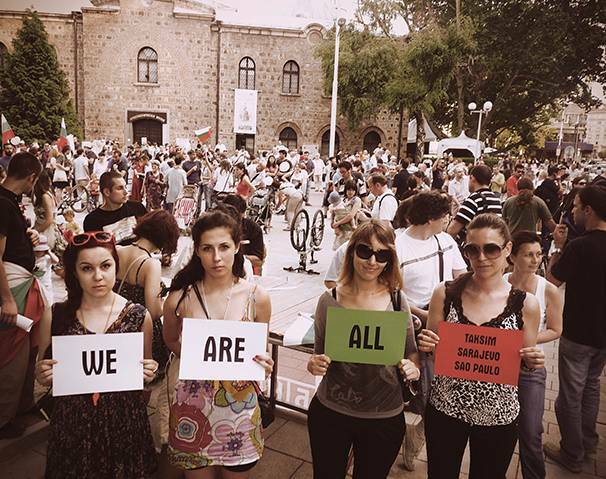 Using the hashtag #ДАНСwithme people have been taking to social media to voice their anger. Why did it take so long before some minor attention came in the #msm for #ДАНСwithMe Is Cyrillic really that hard to understand? Some photos of the recent demonstrations sent to Euronews from our viewers. Photo courtesy of Гордея се с българската история!